SHELLEY SWEENEY goes through a box of tissues watching the remarkable true-life story of painter Maud Lewis. I met Sally Hawkins back in 2008 when I interviewed her for the Mike Leigh film Happy Go Lucky. It was her first starring role and I remember her being an infectiously happy person. Mike Leigh told me she was exactly what he’d been looking for: someone who exuded happiness. I was really looking forward to seeing her again in Maudie. 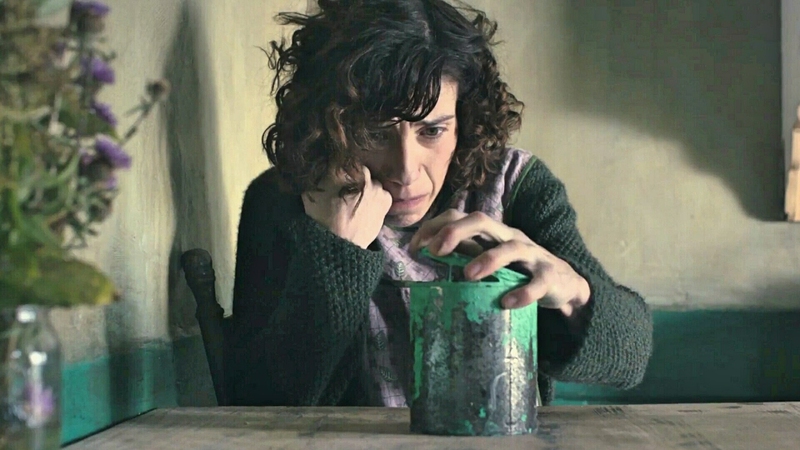 While I didn’t know anything about Canadian folk artist Maud Lewis, I did imagine that Sally Hawkins would give her a relatable warmth. What I didn’t expect was one of the most touching performances I’ve ever seen. Maud Lewis was born in remote Nova Scotia, Canada, just after the turn of the 20th Century. She suffered from rheumatoid arthritis her entire life. After her parents passed away, her brother took over the family home, and grown-up Maud was sent to live with a disagreeable aunt. Maud defied her aunt and her condition by going to clubs and dancing and drinking alone. Her aunt forbade her from going out while her brother just told her that she couldn’t look after herself. This film could have been very sad. Instead it’s inspiring, life affirming and surprisingly quite funny too. Maud’s stubborn independence leads her to look for a job at a time (and in a place) when women had few options. One day in the local store, a curmudgeonly fish peddler (played by an unusually monosyllabic Ethan Hawke) places an advertisement for a house keeper. As he leaves the store, Maud tears the ad down from the noticeboard and makes the long journey to his house on foot, and in pain. I have to admire her determination and she’s got plenty of grit to go with it. Maud’s relationship with Everett Lewis is tumultuous and at times abusive. He calls her a cripple, tells her to leave and berates her a lot in the beginning. She refuses to leave though, and stays on as his housekeeper before becoming his wife a few weeks later. Maud sees something in Everett that no one else does. Everett is a difficult man but he softens over time and encourages Maud to paint the inside of their tiny house with her folk art, even the windows. Everett supplies her with paint and boards to paint on. Director Aisling Walsh has made a gentle film with a slow pace. At times it feels a bit too slow but it suits the folksy setting. She also lends the film a painterly feel. The landscape plays a supporting role here with lingering shots giving glimpses of Maud’s inspiration as it changes through the seasons. Some of Maud’s paintings of landscapes, flowers and cats are featured here too. Maud’s more gregarious friend Sandra loves her paintings and, with her help, Maud begins to sell some of her creations. Later she sells paintings outside her home, and becomes so famous that even President Nixon is a customer. Art fans might criticise this film for focusing more on Maud’s personal life than her art but that would be a great shame. Sally Hawkins and Ethan Hawke give outstanding performances and reduced me to tears by the end of the film. Everett tells Maud that he doesn’t deserve her. She tells him that she has all she ever dreamed of. In time Maud’s condition worsens and her movement is restricted. That doesn’t stop her from painting; they just get smaller. 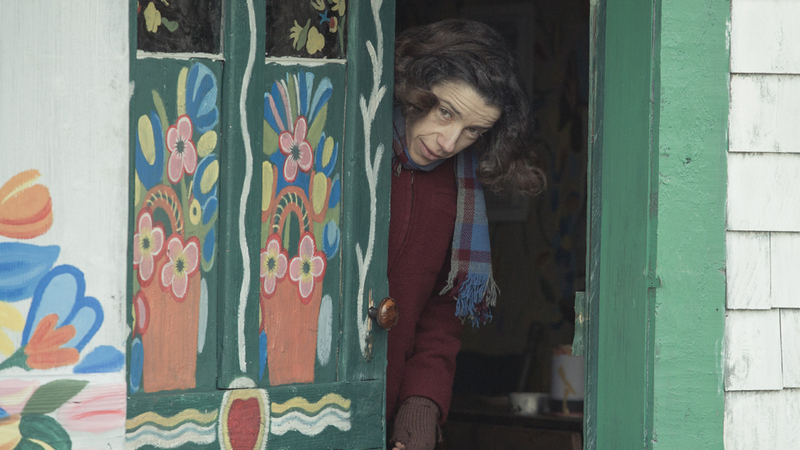 Maudie is a portrait of a painter who had a small but remarkable life. This shy and fragile woman lived on her own terms and maintained a positive outlook through great adversity. It’s a wonderful film but bring your tissues. 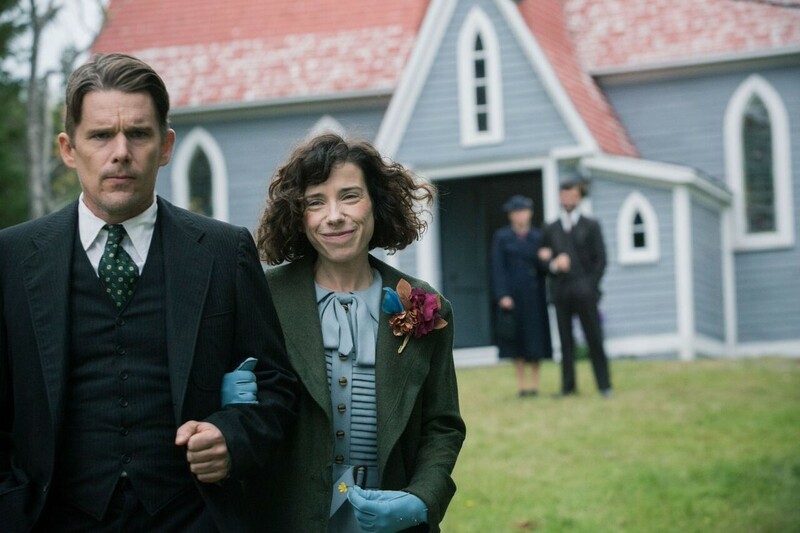 * Maudie screens in New Zealand from Thursday October 19.